Apple has begun selling a new USB-C magnetic charger for the Apple Watch today alongside the start of the pre-order period for the iPhone Xr. The magnetic charger has a 0.3-meter cable and is now available to purchase from Apple's online store for $29. It's worth pointing out that this is the first time the magnetic charger is equipped with a USB-C connector. The charger only used to include a USB-A cable for quite some time now. Just like the old variant, the magnet on the USB-C version causes it to be automatically snapped onto the back of the watch without requiring strict alignments. Keep in mind that both versions bear the same price tag, although the USB-C variant is not available in the longer 1-meter and 2-meter lengths. The USB-C charger is compatible with the Apple Watch Series 1 to 4. Deliveries will kick off on October 24 in the U.S., though it is not immediately known when it will roll out to other countries. Previously, Apple only used to sell Lightning to USB-C cables built for the iPhone devices, with no equivalent option for its wearables, until now. 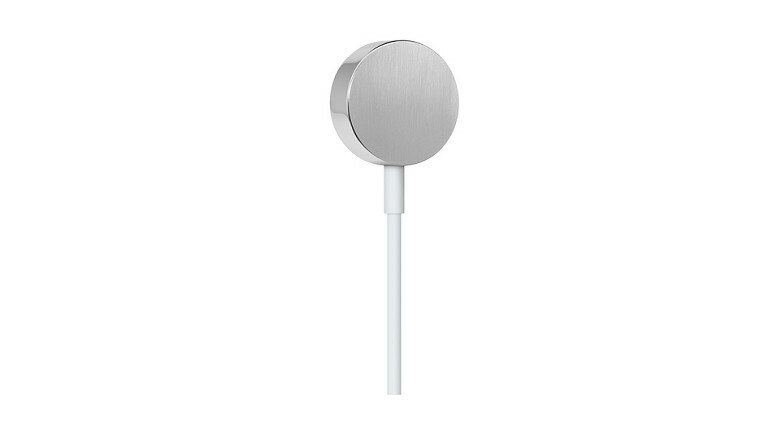 So it's nice to see Apple finally releasing a USB-C charger for the watch.